Day Seventeen – What is your favorite 80’s horror movie? Once again, how do you pick something from such a vast selection of movie options? As with the rest of my picks I just go with my personal favorites. So for my favorite horror movie from the 1980’s (must I only pick one?) I decided to go with a film that means a great deal to me. 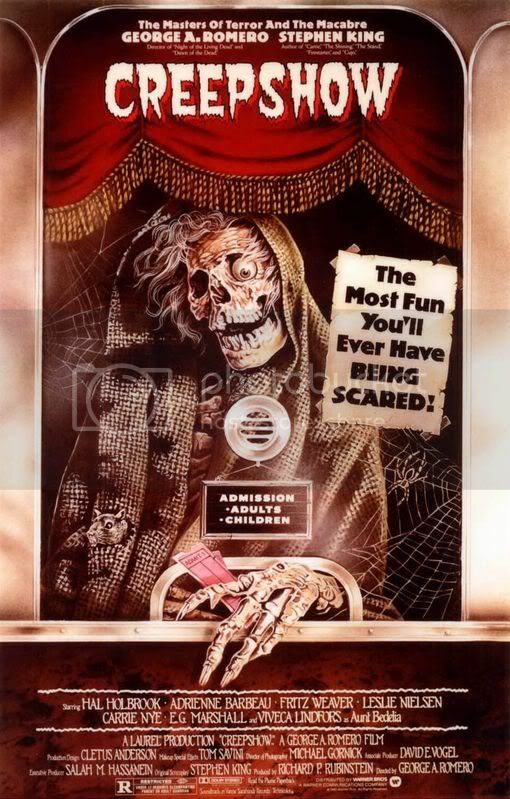 George Romero’s ‘Creepshow’. I somehow convinced my dad to take me to see this in the theatre when I was a kid. How? I have no idea. But I did and I loved every minute of it. Except for “The Crate” which I watched from the lobby. The doors into the theatre had these small round windows so I was able to peak in but I couldn’t make it through that one. heh I first came across the comic book adaptation a few months before the film came out. I was fascinated by it. The tales of graphic horror. The artwork. The stories were so much fun and creepy. When the movie came out I had to see it. 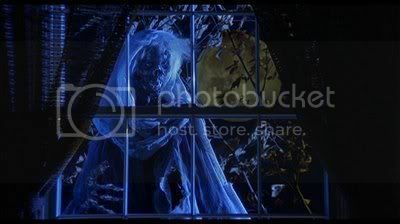 An homage to the old EC Comics like Tales From The Crypt and Vault Of Horror ‘Creepshow’ is made up of five tales and told with a sense of comic book visuals using comic book panels as transitions. Dead murdered relatives coming back for revenge, a meteorite turning a guy into a plant, a doomed love affair of revenge, a very hungry crate living creature, and cockroaches. Lots of cockroaches. 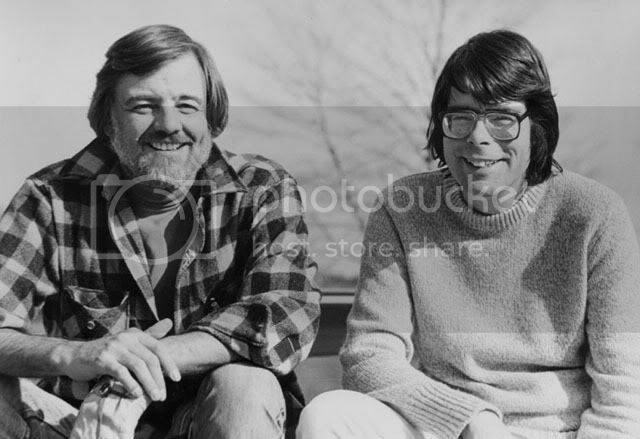 All written by Stephen King and directed with humor, scares, and flare by the great George Romero. Plus featuring a really incredible cast with Leslie Nielsen, Ed Harris, Viveca Lindfors, Adrienne Barbeau, Hal Holbrook, EG Marshall, Ted Danson, and even Stephen King himself. Not only did I convince my dad to take me to see it in the theatre but I somehow convinced my parents to buy the brand new VHS (which back in the day meant it was like $65). I was, and am, fascinated by the film and love every minute of it. It is also one of the few films I love collecting everything for. Posters, lobby cards, the press kit, soundtracks. Anything I can get my hands on. 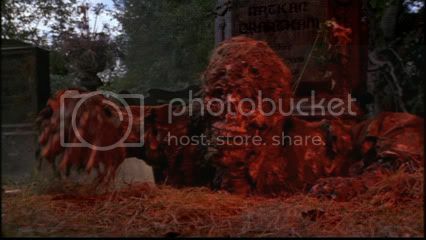 It is also the film that introduced me to Fangoria magazine when I was a kid which had a huge impact on me. If I hadn’t seen something from ‘Creepshow’ on the cover I may not have picked up that issue of The Bloody Best Of Fangoria which eventually led me to getting the actual magazine starting with issue number 52. 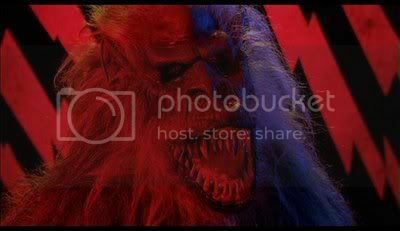 My love of ‘Creepshow’ knows no bounds and has been a part of my life for almost 30 years. For its personal meaning for me plus its sheer awesomeness it is my favorite horror film of the 80’s.